Thank you for posting this. It is an excellent one page summary that clearly lays out the basics. I am going to print out copies and/or email them to friends and relatives who express their incorrect opinions about what bicyclists should do on the streets. 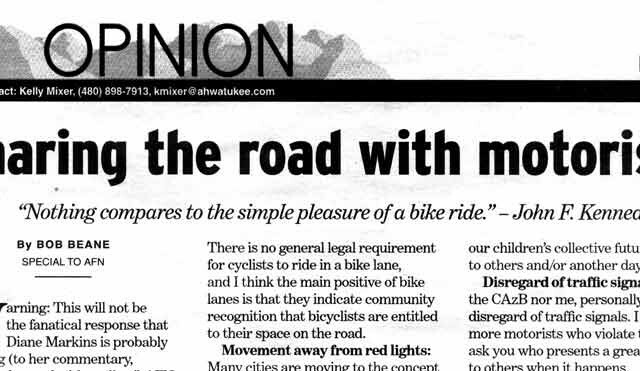 I would have perhaps also mentioned or referenced “Arizona Bicycling Street Smarts” or another similar official publication, too, but that’s just a small suggestion.